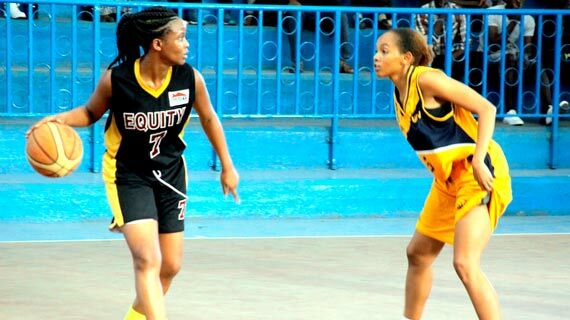 Defending women basketball champions USIU Flames on Sunday bounced back in the race after winning the 4th match of the best of five semi final series against stubborn newcomers Equity Hawks at the Nyayo gymnasium. The result left the two teams tied at 2-2 and will head to the final decisive match to be played on Monday evening where the winner earns a finals berth to face KPA. Flames won the match 40 - 56 (16-9, 4-15, 10-8, 10-24) with Sara Chan scoring 26 points for her side. Samba Mjomba who scored 32 points on Saturday was strongly manned thus only managing 16 points for her side. Angela Okoth was the second best scorer for the USIU Flames with 10 points while Eleanor Musundi had 12 for the Hawks. The final match of the best of five will be played on Monday at 6:00PM at the Nyayo stadium gymnasium.